Established in 1833, Psi Upsilon is known as one of the oldest US college fraternities. Psi Upsilon fraternity has a great deal of universities and colleges all over North America. The main objective of the fraternity is to give its members intellectual, moral, and social excellence. Psi Upsilon fraternity provides its members with a splendid opportunity to develop their leadership skills. Members of the fraternity often participate in various activities such as literary debates, readings, and oratorical contests. 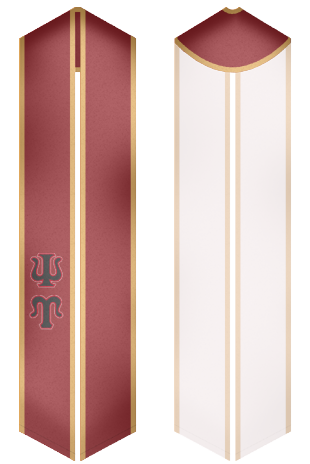 At our website you will manage to purchase beautiful stoles, which will ideally suit any event that is organized by Psi Upsilon fraternity.